The Museum of Modern Art, designed by Yoshio Taniguchi. View of Agnes Gund Garden Lobby. © 2004 Timothy Hursley. The Museum of Modern Art, designed by Yoshio Taniguchi. Entrance at 53rd Street. 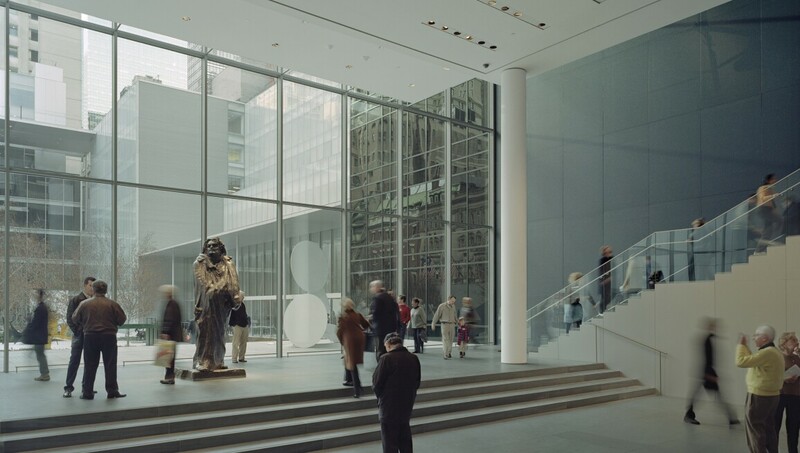 Founded in 1929 as an educational institution, MoMA is dedicated to the conversation between the past and the present, the established and the experimental. The world’s finest collection of Modern and contemporary art includes some 150,000 works, from innovative European paintings and sculptures of the 1880s to today’s film, design and performance art. Collection highlights include Claude Monet’s Water Lilies, Vincent van Gogh’s The Starry Night, Pablo Picasso’s Les Demoiselles d’Avignon, Henri Matisse’s Dance (I), and Andy Warhol’s Campbell’s Soup Cans.